The Datsun Doctor is a family owned and operated business. We provide honest, quality repairs on all Asian import vehicles, including Acura, Lexus, Geo, Isuzu, Infiniti, Suzuki, Nissan, Toyota, Honda, Subaru, Mazda, and Mitsubishi. We opened on November 7, 1983, and are currently celebrating 30 years in business! Our original location was on M-59 in Waterford, and we moved to our present location in 1994. 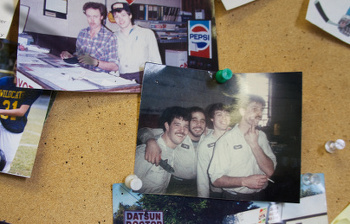 Our three technicians, Reny, Paul, and Steve, have been with us since the mid-1980s. Combined, the technicians and owner Ted Pilchak have over 90 years of Asian import experience! This, combined with our honesty and dedication, provide the tri-county region and beyond with the kind of service you cannot receive at a dealership or chain store. We are a fair, honest business, with a reputation we are very proud to have earned! 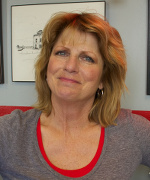 Elizabeth (Betty) Pilchak Ted graduated from Ferris State University with a degree in Automotive Service in1972. His original plan was to be an Automotive Service instructor, but that plan was shelved when he “got the bug” to actually work on the cars himself. After a two year stint at a Chrysler-Plymouth dealer, Ted was “coerced” into working at Joe Haney Datsun in Detroit. After working there for only half of a day, he knew that from then on, he would only work on Japanese vehicles.After nine years at two different Datsun/Nissan dealers, Ted and his wife Betty opened shop. His motivation was years of seeing the incompetence, poor work, and customer frustration coming from the dealership experience; with the Datsun Doctor, Ted wanted to provide the exact opposite—prompt, honest service, with a focus on customer satisfaction. 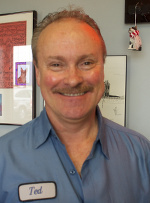 Ted is an ASE Certified Master Automobile Technician and a State of Michigan licensed Master Technician. Betty worked in an office for seven years before becoming a stay-at-home mom. That came to an end when the Datsun Doctor opened in 1983. The kids came to the shop with her until school age. She handles all of the office duties (orders, accounts payable and receivable, payroll, taxes, etc), as well as helping customers. She loves children, and yours are always welcome here!Ted and Betty met in 1972, and have been married almost as long! They have two grown children, Angela and Adam, who spent many of their younger years with them at the shop, and two grandsons who make appearances at the Datsun Doctor from time to time. Paul Linsenman Reny worked with Ted at the Joe Haney Datsun dealership prior to the opening of the Datsun Doctor. He has been with us the longest, starting in April of 1984.Reny’s Asian import experience dates back to 1979. He is state licensed and an ASE Certified Automobile Technician. Reny is married with two children, one boy and one girl. Steven Pascot Paul came to work at the Datsun Doctor during his junior year of high school as a work co-op student in 1985. He stayed on to become highly skilled in all areas.Paul is state licensed and an ASE Certified Master Automobile Technician. Paul is married with two children, one boy and one girl. Steve came to the Datsun Doctor in March of 1987. He started as a mechanic trainee and worked his way up through the ranks. Steve has proven himself as an asset to the company.Steve is state licensed and an ASE Certified Automotive Technician. Steve is married with two children, one boy and one girl. Remembering Bogie Bailey joined the Pilchak family as a rescue dog (and by extension, the Datsun Doctor family) in 2011. He’s part Boston Terrier, part Boxer, and all sweetheart. Bailey loves to run and play, but he also loves to chill in his bed in the Datsun Doctor waiting room while he’s “at work” for the day. Bailey is great with children and would love to meet yours! Our beloved Bogie passed away in June of 2010. Bogie had been a member of our family since 1999, when Angela and Adam adopted him from the Rochester Hills Humane Society. Bogie spent every work day at the shop, acting as our “Vice President of Customer Entertainment in the Lobby.” Anyone who visited the shop over the years when Bogie held court in the lobby came to know and love him. Bogie will be forever missed.